The accumulation of ammonia in horse and animal stalls has been proven to stress the upper respiratory airways; placing them at risk to pneumonia and heaves (an asthma-like lung condition). Foals and other baby animals are especially vulnerable to ammonia. Sweet PDZ absorbs and neutralizes ammonia, thus lessening this danger. 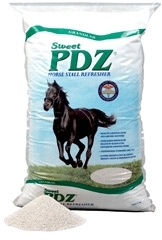 Sweet PDZ is an all-natural, non-toxic, and non-hazardous mineral. Unlike hydrated lime, it is completely safe for humans, animals and the environment. 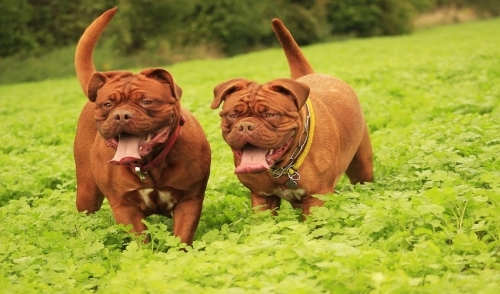 Sweet PDZ also works very effectively in cat boxes, dog kennels, rabbit hutches, chicken coops, and all small animal habitats. Sweet PDZ works well with all types of beddings and on all types of stall floors. It is also ideal for use in horse and livestock trailers. Unlike lime, Sweet PDZ is pH neutral and can be used as mulch and fertilizer in planting areas, where it acts as a slow release fertilizer.